Celebrate the International Archives Day ! "Everyone keeps archives, in an private or professional setting. Through this universal day, we wish to democratize the profession of archivist and improve the perception of the general public regarding the notion of archive"
David Leitch, Secretary General of the ICA. Why an International Archives Day? ... among the public, of the importance of archives. Archives are the memory of nations and societies; they provide the foundation for their identities and are a key element of the information society. ... among the decision makers, of the advantages of good archiving to establish quality governance. Archives constitute a cultural heritage and a leading source of information. The archival heritage is an important testimony to the economic, political, social and cultural development of mankind. ... among the general public, the public and private sectors, of the need to preserve the archives over the long term, and to facilitate access to them. By documenting activities and decisions, archives ensure both the continuity of organizations and the justification of their rights, as well as those of individuals and States. June 9, a day of international celebration. Archives represent an unparalleled wealth. They are the documentary product of human activity and as such constitute irreplaceable testimonies of past events. They ensure the democratic functioning of societies, the identity of individuals and communities and the defense of human rights. During the International Congress of Archives in Vienna in 2004, the 2000 participants adopted a resolution calling on the United Nations to create an International Archives Day. 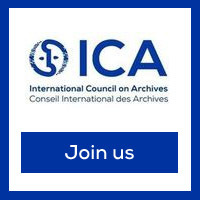 At its General Assembly in November 2007, the ICA formalized the International Archives Day on June 9. This date was obvious: ​​on the 9th of June 1948 the International Council on Archives was created under the auspices of UNESCO. This choice was immediately approved and adopted by the archives community as a whole. “Archives record decisions, actions and memories. Archives are a unique and irreplaceable heritage passed from one generation to another. Archives are managed from creation to preserve their value and meaning. They are authoritative sources of information underpinning accountable and transparent administrative actions. They play an essential role in the development of societies by safeguarding and contributing to individual and community memory.